Super cute for spring and summer - adorable unicorn macaron washi tape. *Our washi features original artwork designed by us, so they are one of a kind! Any accessories photographed are not included! Please do not copy, imitate, publish, or redistribute our artwork without permission. Thank You! 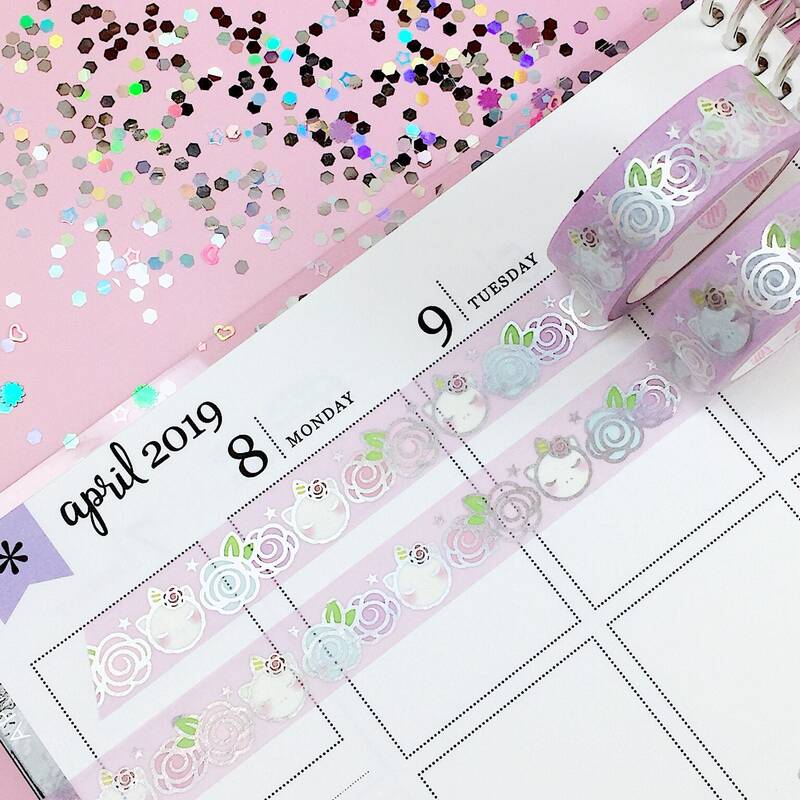 This washi is so stunning! Such cute designs , the foiling is reallyyyy pretty! Love them, thank you!